Napa Valley is famous for their Cabernet Sauvignon wines, and in large part that is due to the grapes grown in the Stags Leap District. This area gets the heat that comes down from Calistoga and he breeze from San Pablo Bay, creating a micro climate that is apparently perfect for Cabernet Sauvignon. 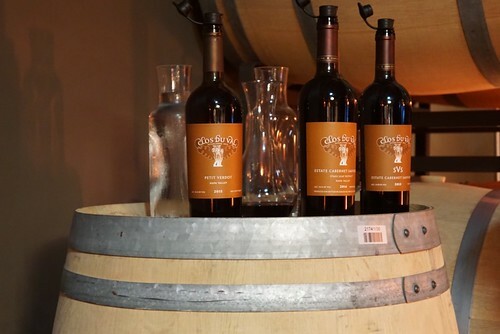 Clos du Val is one of the early wineries to open in Stags Leap District. Stags Leap District is the first (and smallest) appellation in Napa Valley and it is best known for the Cabernet Sauvignon. In California, there are now 107 appellations (known as American Viticultural Area, or AVA). Initially after opening the winery, Clos du Val was making 90,000 cases of wines that are easy on the wallet, but about 40 years ago, the winery decided to return to their roots and make the best Cabernet Sauvignon they can make. They cut down production to 30,000 cases to focus on making high quality estate wines. 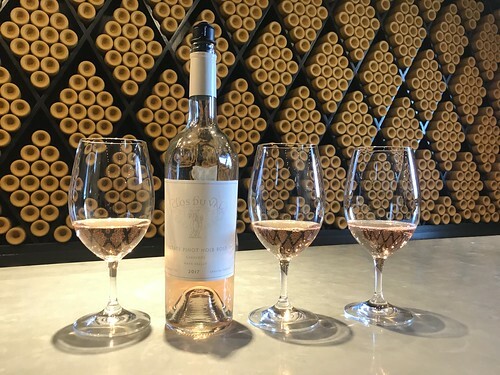 For our tour and tasting, we started in the old tasting room with a taste of the 2017 Estate Pinot Noir Rosé from Carneros. Now that it's just after U.S. 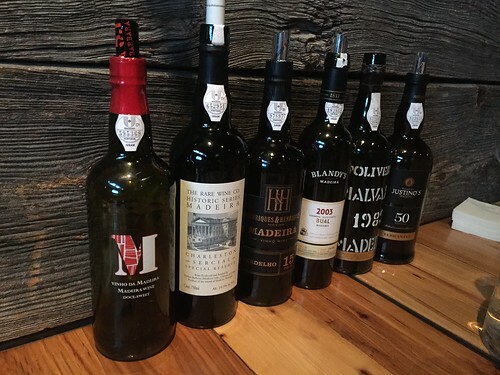 Independence Day, I thought it's the perfect time to talk about madeira wines! Did you know Madeira was the wines used to toast the Declaration of Independence? Madeira was very popular with the founding fathers and others during that time. New York received half of the total exports of Madeira out of Portugal during 1785-1787. George Washington himself ordered 15 barrels of Madeira from 1759-1783. Madeira wine comes from the island of Madeira in Portugal. The island sits on top of a shield volcano. Back in the old days, winemakers would add neutral spirits to their wines so they not spoil during the long sailing time to the New World. 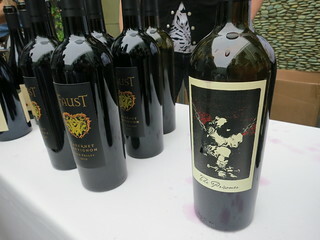 Some of the unsold wines are returned, and they found that the heat and movement had changed the flavors of the wines. 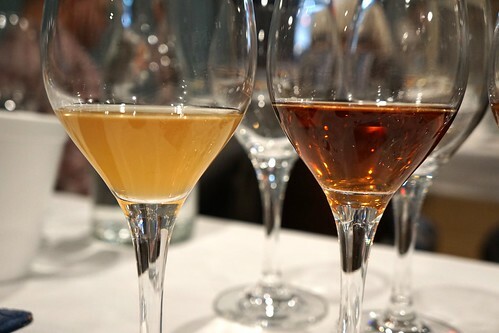 They recreated this effect using the Canteira system, the traditional system of making Madeira wines. Instead of keeping the wines cool in a cellar, to make Madeira the wines are slowly heated. Argentinean wines = Malbec. That's what most of us would think of, I think. 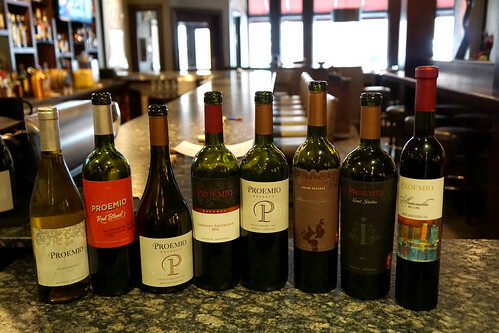 At least I did as well, but there is so much more happening in the Argentinean wine industry beyond malbec and I recently got to taste some at a luncheon featuring Proemio Wines. 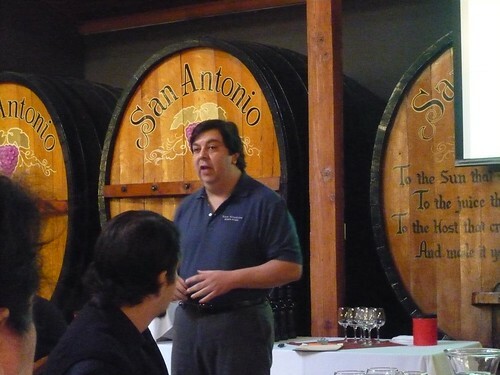 Proemio was founded in 2001 by Marcelo Bocardo, a third generation winemaker and an Italian descent. They have three vineyards in different wine regions of Mendoza and as of 2017 all the grapes are organic certified. 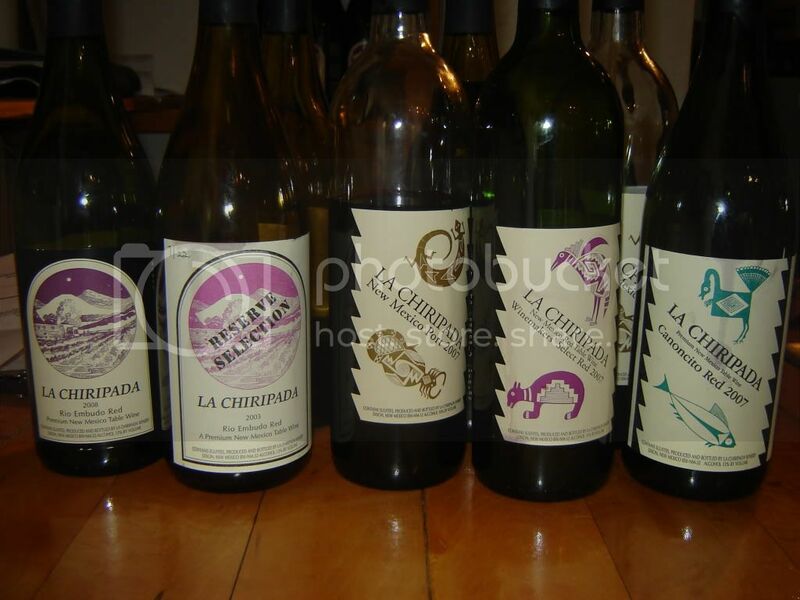 Most of the wines we tasted came from Maipu, Mendoza where they have 148 acres of vineyard. 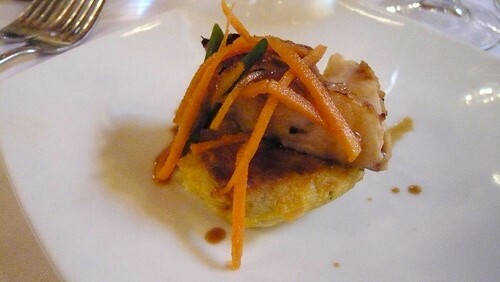 The wine luncheon took place at Prezza in Boston's North End with a special menu by Chef Anthony Caturano. We started off with a glass of Proemio Chardonnay 2017. This wine was 30% aged in new French oak (the rest in stainless steel). The wine was pretty delicate. The winemaker wanted vanilla rom the oak but still wanted good acidity and freshness, hence the blend of oak and stainless steel. 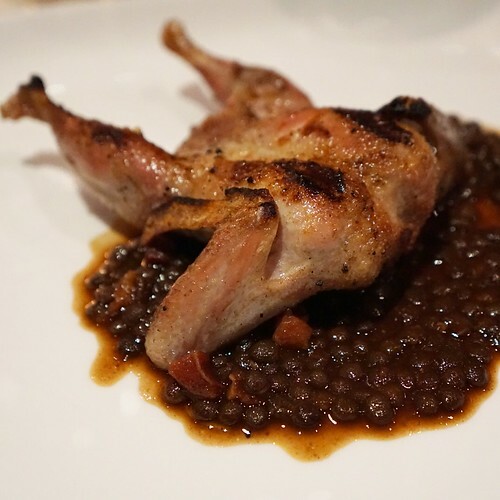 Our first course: Grilled quail over red wine lentils and bacon. The quail was grilled perfectly. We tried each dish paired with two different ones. For the quail, we had the Proemio Terroir Blend 2017 (Petit Verdot) and the Proemio Syrah/Garnacha 2015. CourseHorse is a portal to discover local classes, varying from tech classes, languages, life skills, and of course cooking and wine tasting classes. Even fitness classes are listed. I was invited to experience one of CourseHorse's openings, so naturally I looked for the food-related ones. Browsing through the selection I found numerous cooking classes, a cocktail making class at No. 9 Park, and a number of wine tastings. 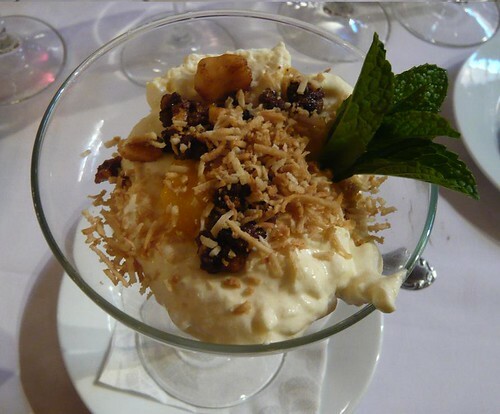 You can look through the current culinary offerings in Boston here. I decided to take one of the wine tastings offered at Dave's Fresh Pasta in Somerville. Dave's Fresh Pasta is a gourmet food and wine store, but they also hold events like this wine tasting on a few Thursdays 7:30-9PM each season. The wine tastings at Dave's Fresh Pasta is typically $55 per person. I was there for their Local Cheese and Spring Wines tasting with Vineyard Road, a wine distributor based in Framingham. 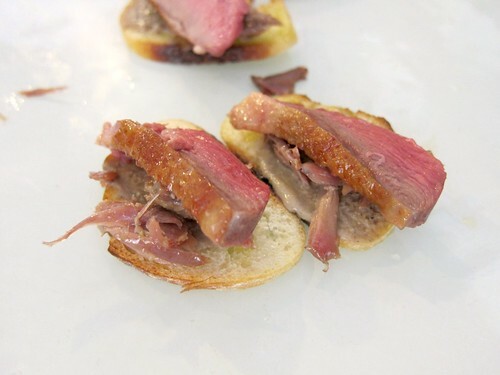 We tasted five different wines paired with food. 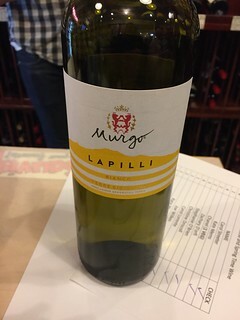 We started with 2015 Murgo Lapilli from Sicily, Italy ($11.95). This wine is 60% Chardonnay and 40% Sauvignon Blanc, which are typical grapes of Italy. 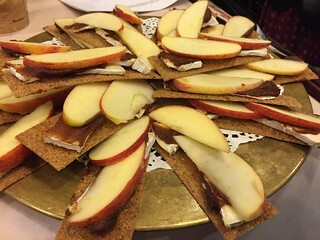 The wine's apple notes pair well with the Hudson Valley Camembert cheese, apple butter, and apple slices on cracker. 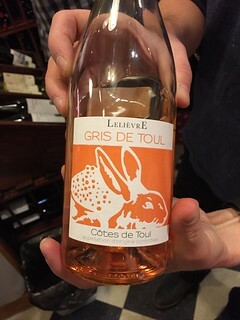 2016 Domaine Lelievre from Cotes de Toul, Lorraine, France ($16.95). This rose wine is a blend of Gamay and Pinot Noir. Lorraine is in the northern center France. This region used to make a lot of wines in the 1500s but a lot of disease had diminished the planted area. I recently attended a tasting of wines from Georgia (the country, not the US state) and discovered there was much more I did not know about the world of wine! Traditionally made Georgian wines are unique, and if you've never had wines fermented in a qvevri, these wines would be completely unexpected for you. 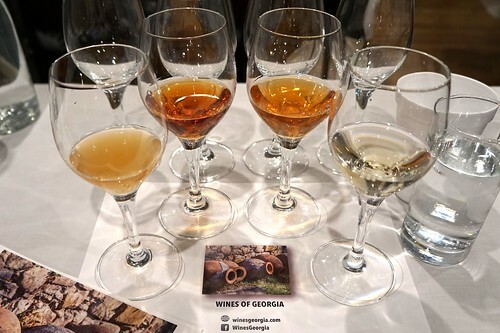 Most of the wines produced in Georgia are typically home winemakers who have been making wine for decades. There's no terroir codification and commercialization began pretty recently. Qvevri is an unlined terracotta vessel. They are buried in the ground and is cleaned after each vinification cycle. Since the vessel is unlined, there is air exchange happening through the pores of the terracotta throughout the fermentation. Prior to 2003, there was no commercially produced wine that uses qvevri, but then some producers decided to preserve the tradition. Our wine tasting was led by Taylor Parsons, the sommelier from Republique in Los Angeles. The first two wines I tasted were two Rkatsiteli from Niki Antadze. Niki Antadze is a tiny wine producer, with 3 hectares of vineyard in the Manavi, Kakheti regions. The Rkatsiteli is one of the main white grape varietals in Georgia. Both Rkatsiteli were fermented in qvevri but without and with skin contact. You can see the colors are strikingly unique too. Rosé. What comes to your mind when you hear about this particular type of wine? Summer? Lawn party? This wine is more than that. 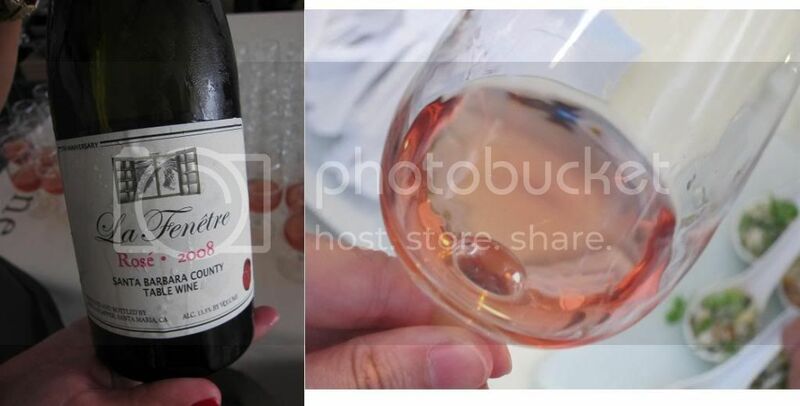 Provence is the largest wine producing region specializing in dry rosé and they rosé very seriously and had even established The Center for Rosé Research in 1999, analyzing more than 1000 wines each year. The center is open to the public for anyone interested in learning more about this wine. Provence extends from Marseille (the birthplace of rosé) to Nice and contains 3 main appellations: Côtes de Provence, Coteaux d'Aix en Provence, and Coteaux Varoix en Provence. It is believed that the earliest wines were originally rosé since the Greeks did not macerate wine with the skin for a long time to give the red color. US is the largest export market for Provence rosé (even though France still has the highest consumption), yet rosé still has the reputation of being just a summer wine and Provence aims to change that. 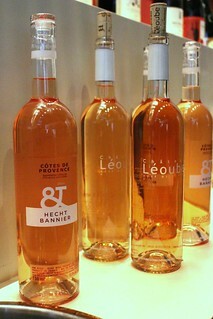 I recently attended a luncheon at Bar Boulud and tasted many different kind of rosé. The luncheon really showcased the diversity of this pink wine. We were greeted with a glass of Hecht & Bannier Cotes de Provence Rosé 2014 ($18.99). This is perhaps the "typical" rosé: bright, crisp, fruity, with citrus notes and a clean short finish. Good to drink on its own yet versatile. 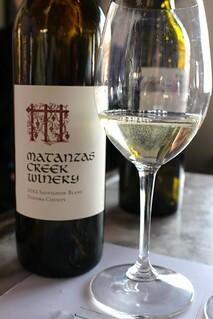 It's unusual for one winery to produce four different Sauvignon Blancs, but Matanzas Creek Winery took the challenge. 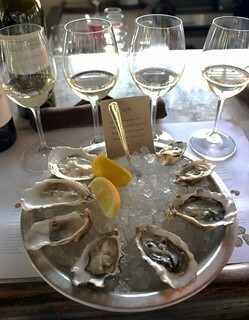 One afternoon, I attended a tasting of their four sauvignon blancs, each paired with a different oyster. 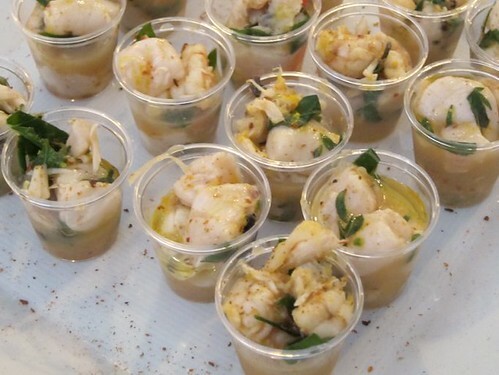 The tasting took place at L&E Oyster Bar in Silver Lake. 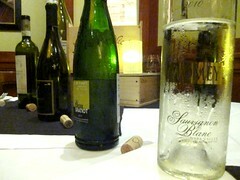 We started off with the Sonoma County Sauvignon Blanc. In this one, there's high acidity and I definitely tasted the lime and nectarine. To produce this, the winery uses a lot of dry ice to keep moisture out during low temperature fermentation. The winemaker, Marcia Monahan, has moved towards picking the grapes based on color instead of brix. 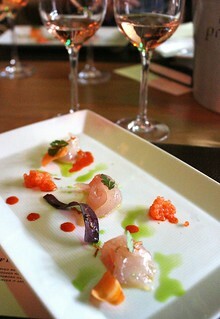 They paired the wine with Shigoku, a tumbled oyster from Willapa Bay in Washington. I learnt a lot about oysters during the tasting, too. So the Shigoku is the same species as the Hama Hama oysters, but farmers put them in metal tumblers. Being tumbled throughout their lives, the Shigoku develop more muscle and a thicker shell. 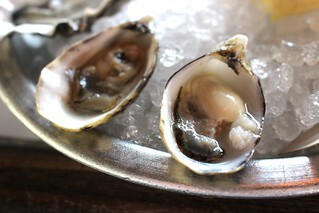 Tumbling oysters are supposed to make them sweeter, firmer, and milder. This was a very traditional pairing. 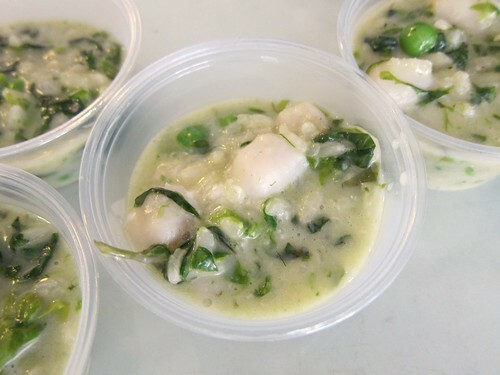 With a high acid sauvignon blanc, it brings out the sweetness of the oyster and extract a stronger "sea" flavor. I like the Shigoku better the Bennett Valley, though. If you're looking for a wine event filled with big names like Opus One and Silver Oak, then you should consider the Ultimate Wine Festival, coming up on April 6, 2014 at The Shade Hotel in Manhattan Beach. The event costs $125 pp with tastings from 3-6pm, or $200 to get into the Reserve Magnum Tasting from 2-6pm. Considering the ticket price of some of these wines, it's a pretty good value if you enjoy your wines! 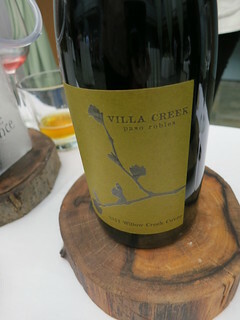 ... and ome new ones including Villa Creek from Paso Robles, who makes Rhone varietals, and Chappellet from Napa. I had been to Temecula once before this year, but I didn't explore the wineries much and did not realize that the Temecula Valley Wine Country does have good wines. This year I had the opportunity to go on a media trip (thanks to Temecula CVB and the Temecula Valley Winegrowers Association) and visited a lot of wineries, in addition to attending the 4th annual CRUSH gala. This past September marked Temecula Valley's 4th annual wine event, CRUSH, and it started with a Winemakers Roundtable discussion and wine tasting before the main gala.The roundtable took place in the beautiful barrel room of Callaway Winery. There were 4 winemakers/winery owners, a wine writer, and the owner of a vineyard management company on the panel. During the panel discussion they talked about their personal history and the growth of Temecula Valley. A lot of people think that Temecula Valley cannot grow good wines because it's so hot, but according to these guys the heat during the day is just fine. 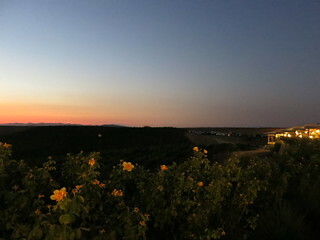 Temecula still gets chilly at night and the temperature difference between daytime and nighttime is large enough to allow growing good wines. (Still, they admit that the recent humid monsoonal nights have been problematic). OK, more on the panel later. Wines first. 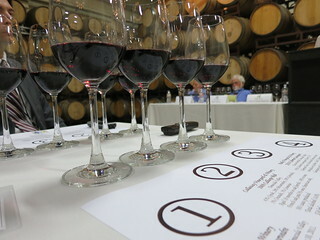 During the discussion we tasted four wines, one from each of the wineries sitting on the discussion panel. I don't profess to know much about wines (yet) but I like attending wine seminars because I learn so much. Most recently I attended a seminar for Ribera del Duero wines of Spain at Red O. The sommelier leading the seminar told us that there are three great wines of Spain: Rioja, Ribera del Duero, and Priorat. Ribera del Duero has higher elevation and thus greater diurnal shift. The hot summers ripen the fruit while the cold winters allow retention of acidity. 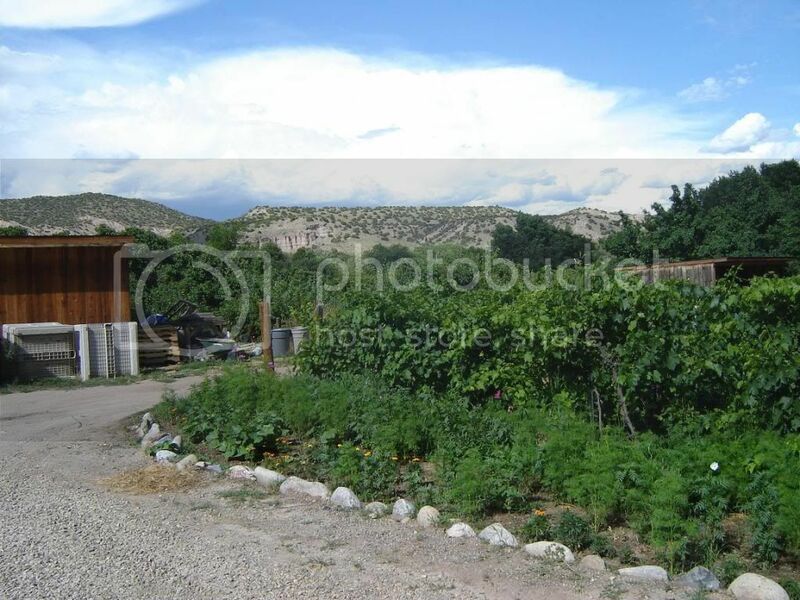 This region is almost entirely planted with Tempranillo, and a third has vines that are older than 50 years. Tempranillo is a thin skinned grapes which is highly aromatic. Apparently delicate grapes usually do not work well with oak but tempranillo is the exception to the rule. 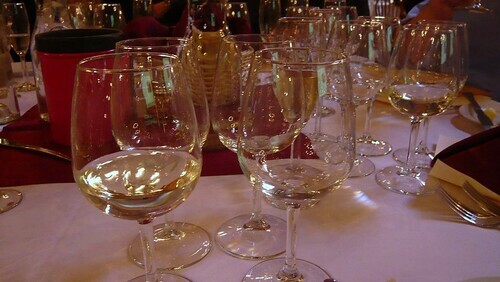 For the seminar, we tasted 5 different wines. This wine is 100% tempranillo all aged in stainless steel, which means it was meant to be drunk young. Aroma: sourdough. Bright, good finish. The term "cosecha" (or sometimes "joven") means that there's been no oak aging. Just like the previous wine, this is 100% tempranillo in stainless steel, and ready to drink. Aroma: dill. There's a sweet and sour character on the palate. I liked this better than the Avaniel. They're both 14% ABV but this tastes smoother. This wine has been aged in French oak for 3 months (which is not long enough for the next labeling, "crianza"). 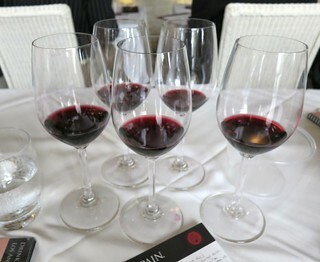 According to the sommelier, almost all across Europe, the wines in 2009 have a ripe fruit character, almost jammy. This wine is spicier and a little heavier than the previous, with subtle vanilla and spice notes. This was even spicier than the Fournier, but still balanced. This wine was aged 2 years in American oak and a year in the bottle. This was heavier and had less acid than the Valduero but still tasted bright. 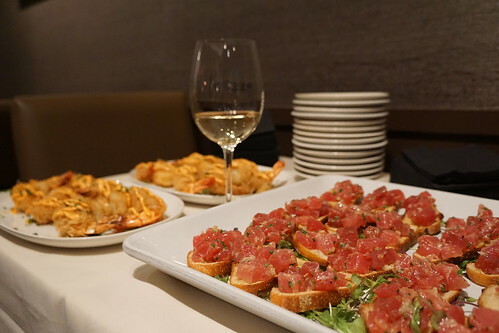 Next we had some bites from Red O and tried pairing them with the various wines. It was impossible for me to try everything due street parking time limit and my liver, but here are some highlights, from old favorites to new discoveries. Being a new wine making region, you can find diverse varietals and styles from Santa Barbara wines. Palmina from the Lompoc "Wine Ghetto" produces some white of the Italian varieties, including Arneis, Tocai Friulano, and Malvasia Bianca. For the quality, they are quite inexpensive at $12-18 per bottle. 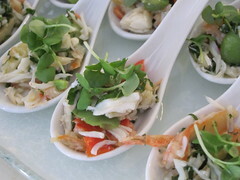 There were tons of interviews and wine seminars throughout The Taste LA events, too many to attend all of them. One got my attention when I met Justin Warner, who was giving a pinot noir seminar with Ira Noroff (Director of Education at Southern Wine & Spirits). He said he was an oeno-rapper, i.e. he raps about wine? Rap about wine? Well, that was sure interesting. Pinot is lighter in color because of its thin skin. That also means that it takes longer to extract the color, amplifying the difficulty and also the reason why Pinot is more expensive. The Primary aroma in Pinot is cherry and strawberry. 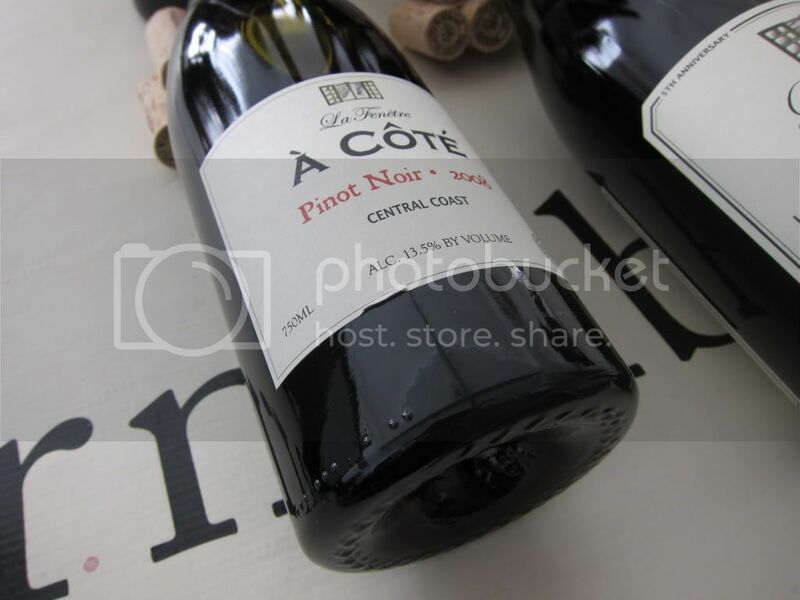 Pinot Noir and Chardonnay likes cool climate, while Cabernet and Sauvignon like hot climate. Ira also told us that when talking about wine, the "Primary characteristics" are always talking about fruit, while "Secondary characteristics" typically relate to the earth. 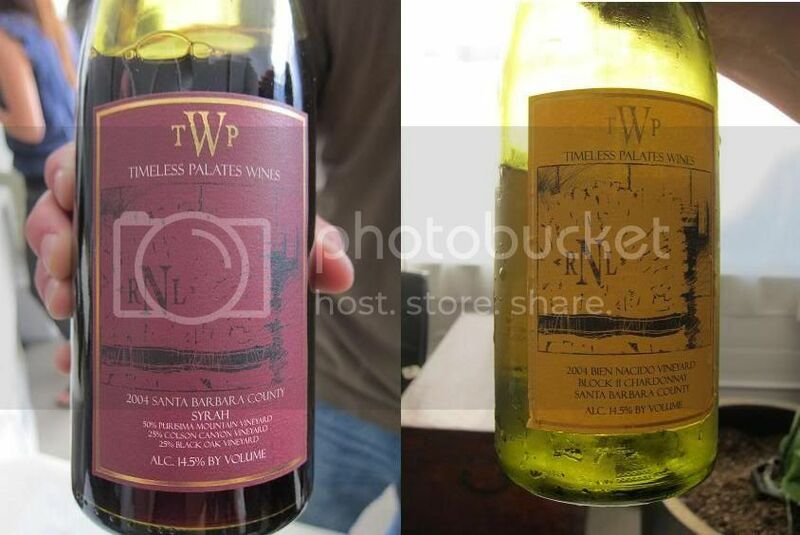 We tasted three widely different pinots, showcasing the diversity of this varietal. The first is Meiomi, by winemaker Joseph Wagner. This is a blend of region 1 central coast grapes. It's reminiscent of cola and dried leaves. Next is a pinot from J Vineyard in the Russian River valley. This vineyard started as a sparkling wine company. This wine has more depth than the previous, reminiscent of rose petals. The wine was made in open top fermenters (which is what they do in Burgundy). They cold soak up to 10 days and then age it in 100% burgundy oak barrels (30% new oak barrels). PS. Justin also owns Do or Dine restaurant in Brooklyn. One last tip from Ira: Do not decant old wines! Decanting is for new wines that needs the air. 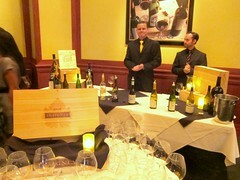 Every September, Fleming's revamps their "Fleming's 100" wine list. 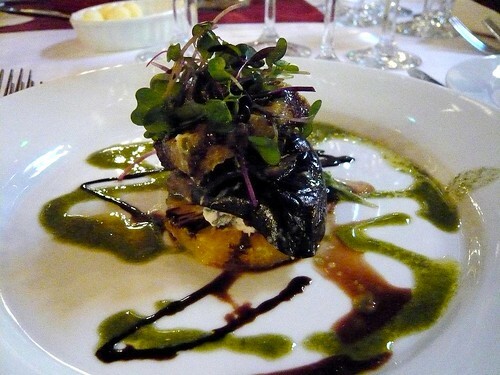 Now, what that means for you is that every September, there are multiple wine tasting/pairing events at Fleming's! That included a series of "Opening Nights" on Fridays, where guests can taste 25 wines from their list of 100 for just $25! 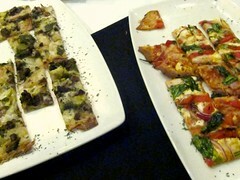 Not only that, this year we also got a sampling of their new small plates menu. The first three weeks showcased the same wines across all Fleming's, while the last week featured wines chosen by the local Wine Manager. I made it to this last night to Fleming's at LA Live in downtown LA. The wine selection included Kelly Fleming wines from Napa Valley which is owned by Fleming’s cofounder’s wife. 1. Il Conte d’Alba, Moscato D’Asti, Italy, NV. This sparkling moscato is made from the Moscato di Canelli grape, the sweetness is just right for me. 2. La Croix Gratiot, Picpoul de Pinet, Coteaux du Languedoc, France 2010. Very crisp and clean. 4. Rombauer Zinfandel, Napa Valley, 2009. Suprisingly pretty sweet. Smooth. 5. Justin Cabernet, Paso Robles, 2009. Always a crowd pleaser. Fruity, a bit of tannin for a bright finish. 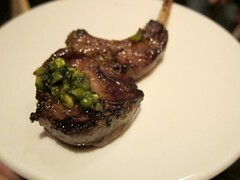 .. to New Zealand lamb chops with pistachio-mint pesto! 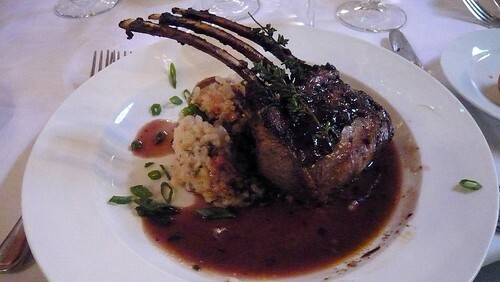 Even when preparing a whole tray of them, they still managed to get the lamb chops medium rare and so tender. Is there another wine label that's more of a household name than Robert Mondavi? You'd be hard pressed to come up with one. Even so, at a recent tasting during the LA Wine Fest, I found out just how little I knew about them! 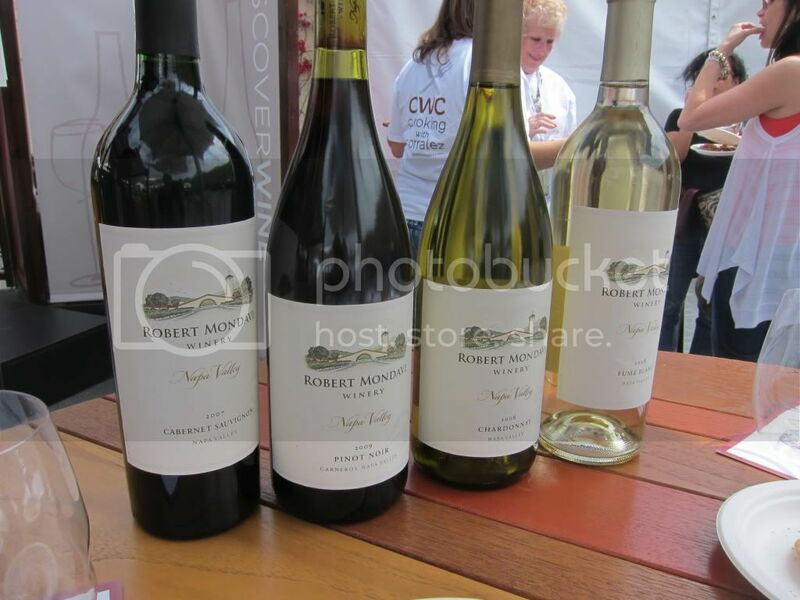 Robert Mondavi has been touring wine and food festivals around the country with their Discover Wine Tour, holding seminars and tastings, visiting 11 cities. They recently landed in Los Angeles at the LA Wine Fest. The other wine seminars throughout the Fest costs around $20, but the ones at Robert Mondavi were free to the public, so naturally a long line forms before each one. 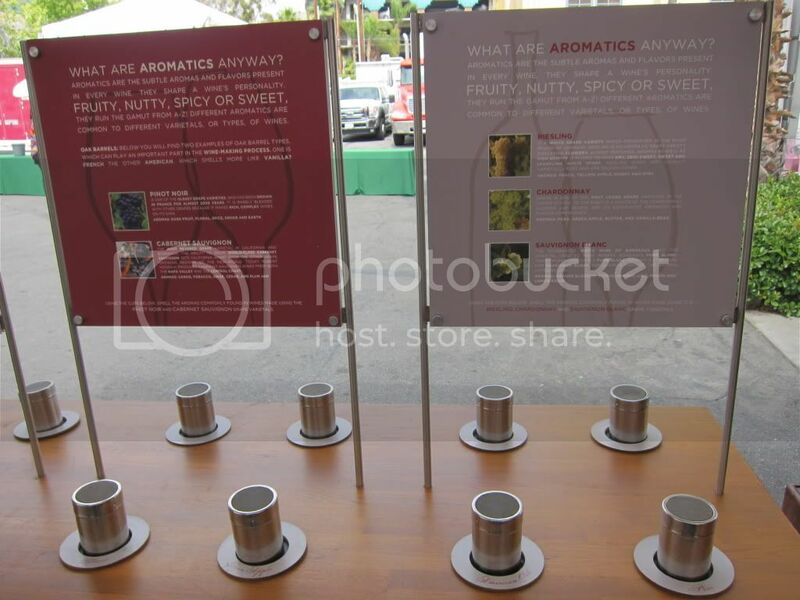 While waiting for the tasting, I perused their tent where they have canisters of different oaks and other things commonly found in wine "notes" so you can smell them and (try to) distinguish between the aromas. They also had some educational material on their iPads but I didn't have time to browse them. La Fenêtre Wines was started by former sommelier Joshua Klapper, who had previously worked as Wine Director at David Myers' Sona and earned it the Wine Spectator Grand Award (we're all very sorry to see Sona shuttered). With Burgundy wines as his inspiration, Klapper strives to make food friendly wines that are affordable. In celebration of their fifth vintage, La Fenêtre held a tasting of all their 2008 releases (and some more) at LearnAboutWine's Loft218. 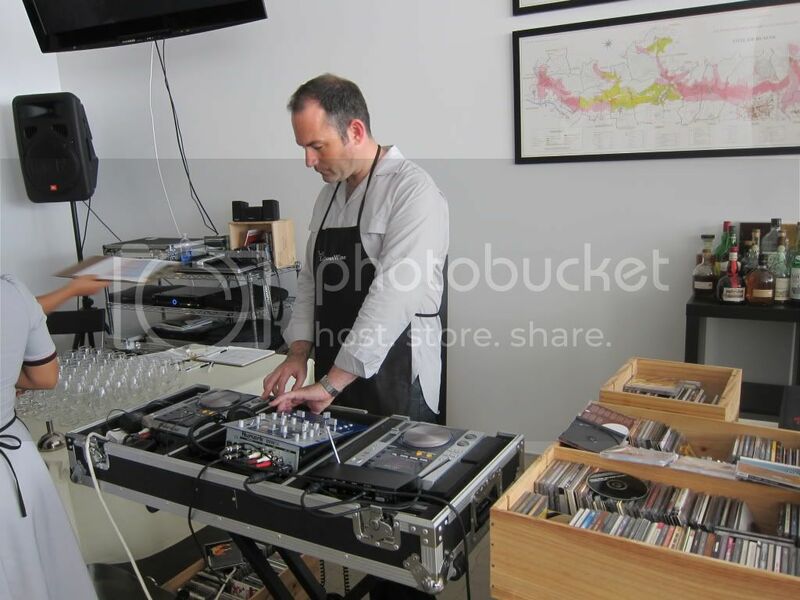 ... while LearnAboutWine's Ian Blackburn plays DJ for the day. 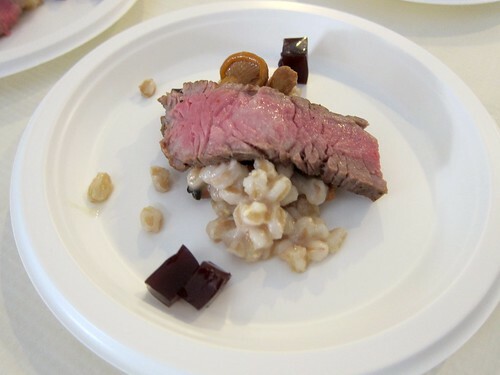 The wines were accompanied by small bites prepared by Chef Neal Fraser of Grace and BLD Restaurant. 2008 À Côté, Santa Barbara County ($25). Crisp and clean, this was a very smooth wine with only a slight acidity at the end. 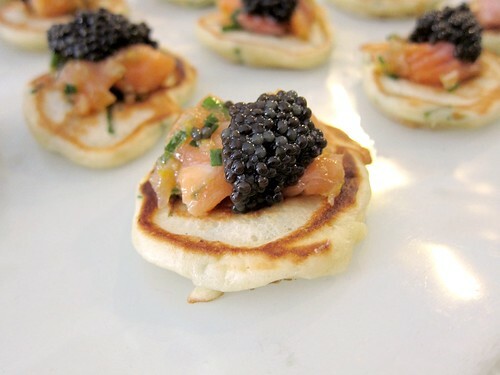 It paired very well with the caviar blini as it brought the flavors together and balanced the caviar. 2008 La Fenêtre, Los Alamos (Santa Barbara County). More acidic than the previous. I had this with the Bay Scallops, peas, aged goat cheese, risotto - a great dish and its creaminess cuts the acidity of the wine nicely. 2008 La Fenêtre, Sierra Madre (Santa Maria Valley). Sweeter than the Los Alamos. We also had the chance to taste the 2004 Bien Nacido Chardonnay (his first vintage). This was easily my favorite Chardonnay of the night: smooth but with much more depth. The new releases should be heading this way too in a few years and it will be well worth the wait. 2008 À Côté, Central Coast ($25). Smooth and subtle, light fruit flavors. 2008 La Fenêtre, Sierra Madre ($49). This had more body than the previous two. 2008 La Fenêtre, Le Bon Climat ($54). My favorite of the pinot noirs. Smoother, less acidic than the others. The body is still pretty light, naturally, as it's a pinot. The red wine gelee was a great complement. 2007 La Fenêtre, Alisos ($35). Heavier-bodied than the pinot noir, naturally. A bit tannic. 2008 La Fenêtre, Sierra Madre ($35). Lighter bodied and more tannic than the 2007 Alisos. 2006 Tête Brûlée, Mt Veeder ($60). This is the only wine he makes with a partner (and his only Napa wine). 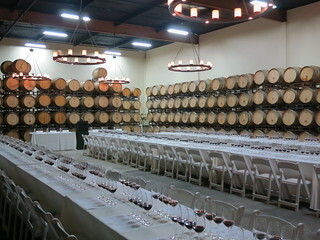 We also got to taste the Timeless Palate Wines 2004 Syrah, another of Josh's first releases. 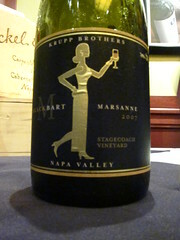 The syrah was smooth and surprisingly fruity when compared to the newer releases. 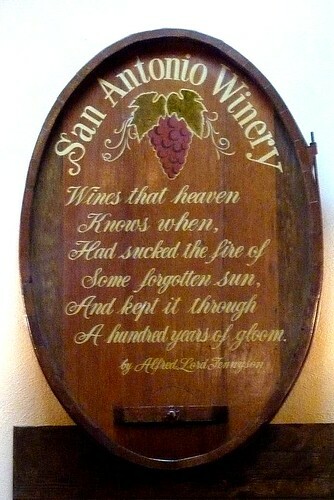 It was the fruitiest of his wines yet. 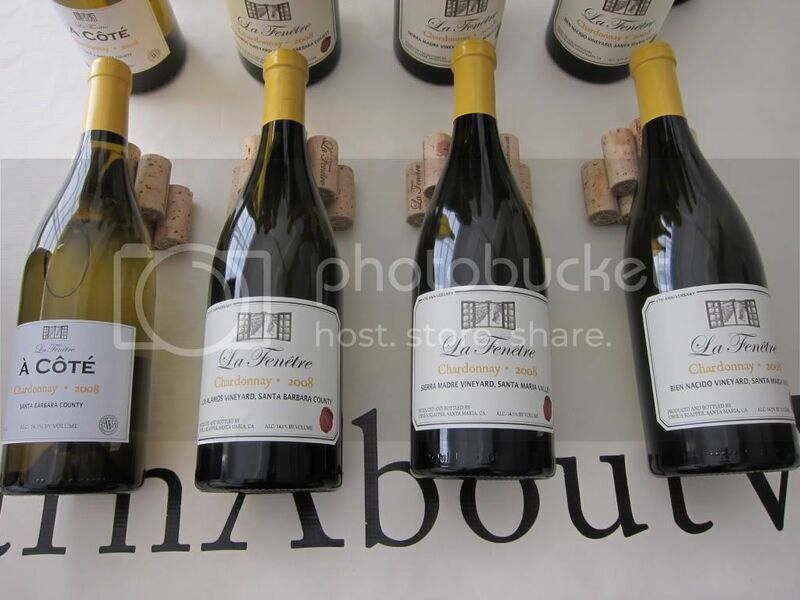 You can now order La Fenêtre wines online and if you order by September 30, get 15% off with code: FALL2010LF. 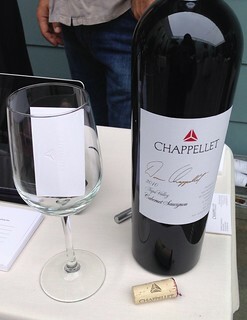 Full Disclosure: I attended this event as a guest of Joshua Klapper of La Fenêtre Wines. FYI though I did end up buying two bottles of wine for myself so you can see that I liked it! Giveaway: LA County Fair Tickets + Wine Tasting Vouchers! As you may know, the Los Angeles County Fair kicks off this weekend! Their PR contacted me to do a giveaway so I'm giving away a PAIR of tickets to the LA County Fair along with some wine tasting vouchers you can use to sample some of the winners of the LA International Wine & Spirits awards. Besides the usual fair foods (like the bacon-wrapped oreos and deep-fried everything) the food trucks will also be coming to the Fair to keep you sated between the rodeo and circus shows. 1. Leave a comment below with your name and email address. 2. Get an extra entry by "liking" my Facebook page. If you already have, then you'd automatically get the extra entry. Since the Fair will start this weekend and we want to get you the tickets as soon as possible, you have until midnight on Sunday, September 5 to enter. Good luck! Seems like almost every state makes their own wine now, and New Mexico certainly is no exception. In fact, Albuquerque's Gruet Winery is pretty well known for their sparkling wines. Put a group of graduate students in Los Alamos for 2 weeks and we won't fail to take advantage of the weekends to go wine tasting. A quick research on the smartphone brought us to La Chiripada. 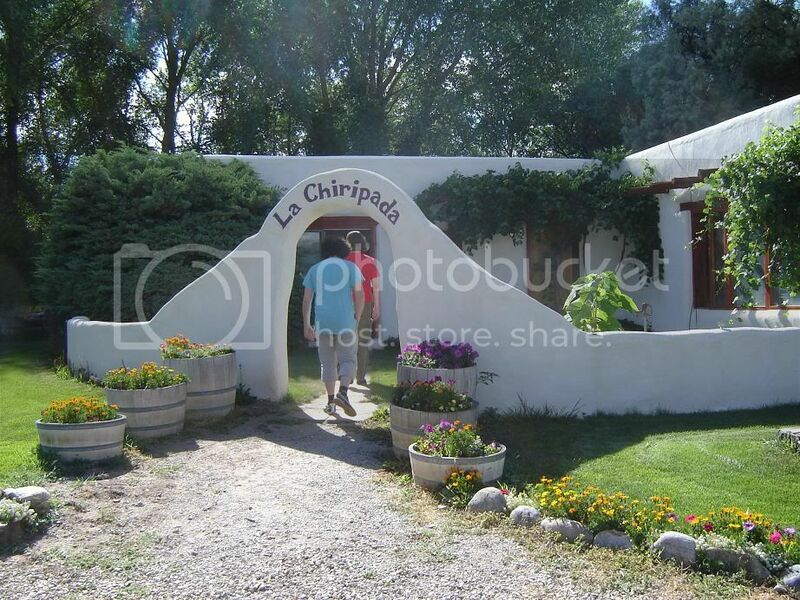 La Chiripada is a quaint and modest winery in Dixon (50 miles north of Santa Fe) marked by a small adobe structure, where casual wine tastings are held. We walked in with hair still wet from the rafting trip that morning. You can do that in New Mexico, it's just that kind of lifestyle. 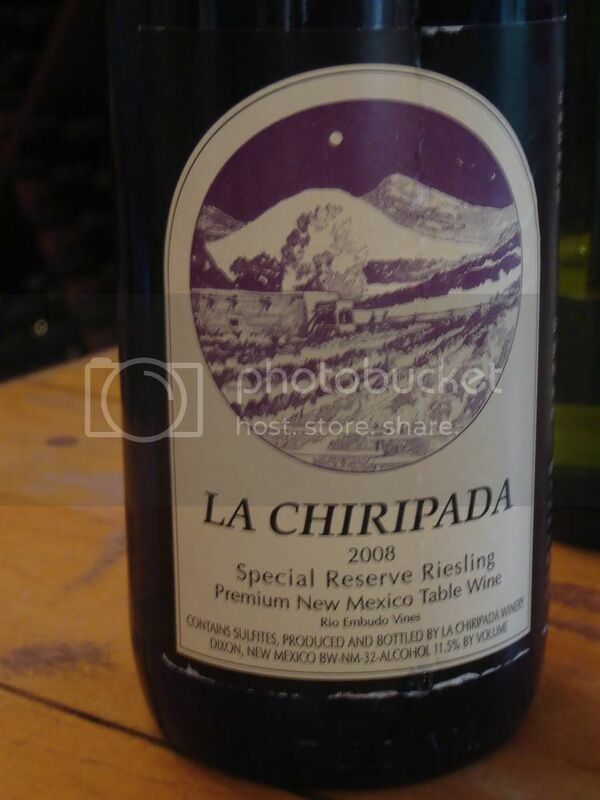 La Chiripada was started in 1977 in the Rio Embudo Valley of NM and now produces a variety of red, white, and dessert wines. Many of the red varieties are local, including Canoncito and their most popular, Rio Embudo Red, a local Leon Millot French hybrid grape variety. Most of the reds weren't "quite there yet" for me being perfectly drinkable and enjoyable but without enough depth. Keep in mind we tried young wines during the tasting, though I did enjoy the Reserve selection. The whites fared better, on the other hand, with the crispness I tend to look for in my whites. Since the tasting fee is waived when you buy a bottle, I took home a bottle of the Special Reserve Riesling.